"The Mall of Memphis is the region's most centrally located shopping and entertainment destination, truly the Marketplace of the Mid-South. A growing mix of exclusive retail and dining, combined with improved amenities including the expanded Ice Chalet create a dynamic and exciting environment for the entire family." A website about a dead mall? A dead mall in....Memphis? Who cares? Most people are surprised to find this site. For the previous 11 months as of October 21, 2011 we have surprised an average of 3519 visitors a month who looked at 11,111 pages each and every month! 370 pages viewed EVERY day about a dead mall? Now that's surprising. Site version pmwiki-2.2.107, version number 2002107. More than one person has asked "why?" with a confused look on their face. "What's the point?" If you want to know more about the hows and whys, the complete story of the site is here Site History. If you think we're just fondly looking back, think again. There are things to be learned from the story of the rise and the fall of one mans dream. 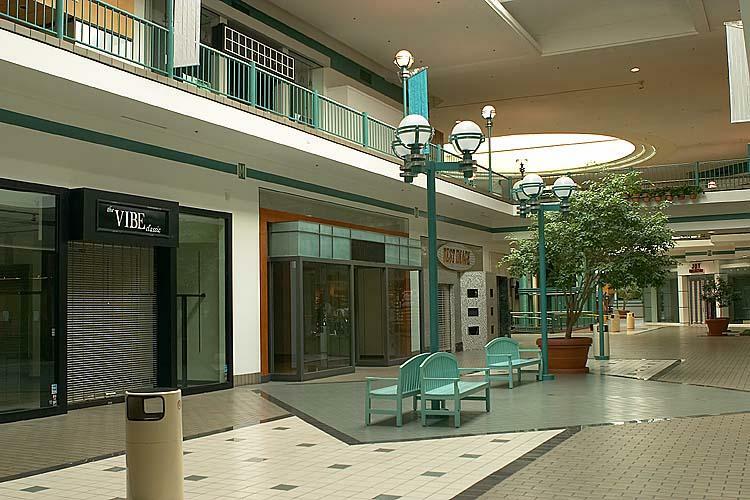 In the end one powerful factor doomed the Mall to history far too early. The factor was luck - bad luck. What Does It Mean. If you want to contribute your thoughts, ideas, photographs or memories to the site, everything you need to know is right here Adding To The Mall?. Feel compelled to financially support this project? Any help is appreciated Support The Mall Site. Observant readers will notice that our study and review is not limited to just the Mall of Memphis, in spite of our clearly chosen name. Perhaps we should have called the site AllofMemphis.com instead. Spend enough time here and you will discover that while the original focus of this site was and will continue to be the Mall, there is a wealth of information on many other Memphis topics. Many follow the same downward spiral of relevance that the Mall did, caused by ineffective elected leadership and or business community leadership or both, all of whom seem to lack any sort of forward looking "vision" at all. We may try to actually tie some of this off-topic material back to the site theme with the thinnest of threads, or we may just say - "It's Lost Memphis" and like the Mall, it's gone. Several major Memphis landmarks have fallen even as we detail the life of the Mall, such as the Baptist Hospital downtown, LibertyLand and the fairground's Shelby County Building. You can see more about these and many more on the Lost Memphis page. If you have a story about any of these Memphis landmarks you'd like to share - on any page, just click the "edit" link at the top or bottom of each page and start typing.... and thanks! No, in answer to the question perhaps on your mind, I do not have too much time on my hands. I enjoy the niche interest nature of this site and have found the people who contribute to be genuine, friendly and sharing common philosophies. Even those with opposing views are counted as new friends though. The site has been discussed and referenced in the mainstream media on numerous occasions. We have been "interviewed", quoted or referenced in at least three local newspapers - newspapers and even a TV news magazine show! We've had the opportunity to meet and talk with notable figures and city leaders including the Stanley H Trezevant Jr, the "father" of the Mall of Memphis and a truly interesting and personable man. All in all, not bad for a software test gone good! If you are uploading information to this site we ask that you be sure and include the source if the information is not your own. Please do not upload copyrighted material without the permission of the copyright holder. This site contains copyrighted material the use of which has not always been specifically authorized by the copyright owner. We are making such material available in our efforts to advance understanding of historical, aesthetic, economic, environmental, and other issues relating to Memphis leadership/commerce/retail history. We believe this constitutes a 'fair use' of any such copyrighted material as provided for in section 107 of the US Copyright Law. In accordance with Title 17 U.S.C. Section 107, the material on this site is distributed without profit to those who have expressed a prior interest in receiving the included information for research and educational purposes. For more information go to this website. If you wish to use copyrighted material from this site for purposes of your own that go beyond 'fair use', you must obtain permission from the copyright owner.